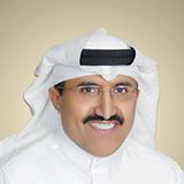 Professor and Consultant of Minimally Invasive and Obesity Surgery at College of Medicine King Saud University & King Khalid University Hospital (KKUH), Riyadh. Consultant Minimally Invasive and Obesity Surgery at King Fahad Medical City. Director of Obesity Chair at King Saud University. Founder and Supervisor of King Saud University Multidisciplinary Obesity Clinic. Director of the Bariatric Surgery Program at King Fahad Medical City.